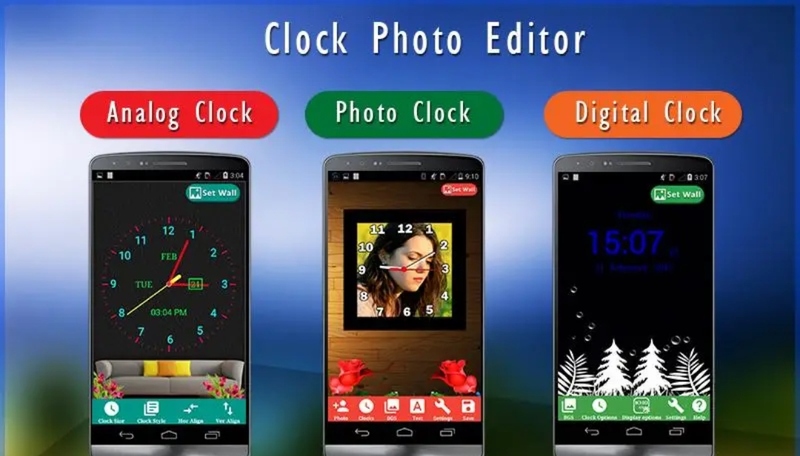 Do you love to add photos in an analog clock or digital clock? Do you love to create on your own? If Yes, Download our Best Android app "Clock Photo Editor" and make your mobile screen beautiful and memorable. ★ Lots of backgrounds to choose from! ★ Lots of Analog Clocks to choose from! 2. Customize the clock size, color and clock position on the screen. 3. Create your own count down and display on screen. 3. Use simple touch gestures to rotate, resize photo. 6. Share any time using social networking apps like Facebook, whatsapp etc.